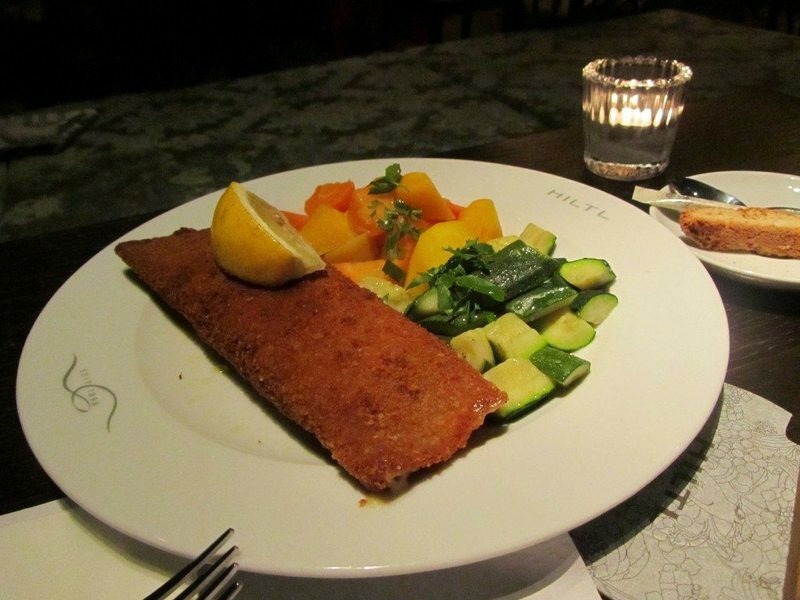 Hiltl is known for being the oldest vegetarian restaurant in Europe and has been run by the Hiltl family since 1898. 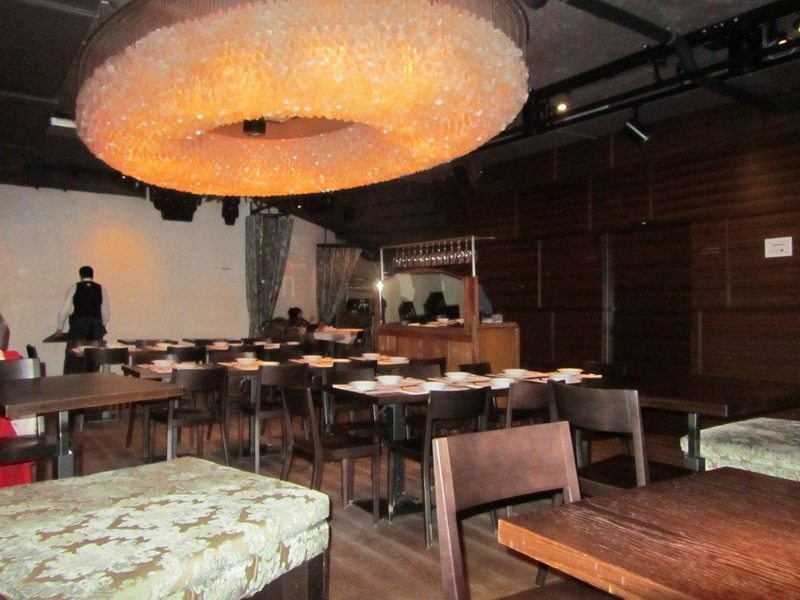 The restaurant is deceiving in size; it is a lot bigger than it looks. There is a huge buffet area with over 100 different varieties of food with flavours and cuisines from all over the world. 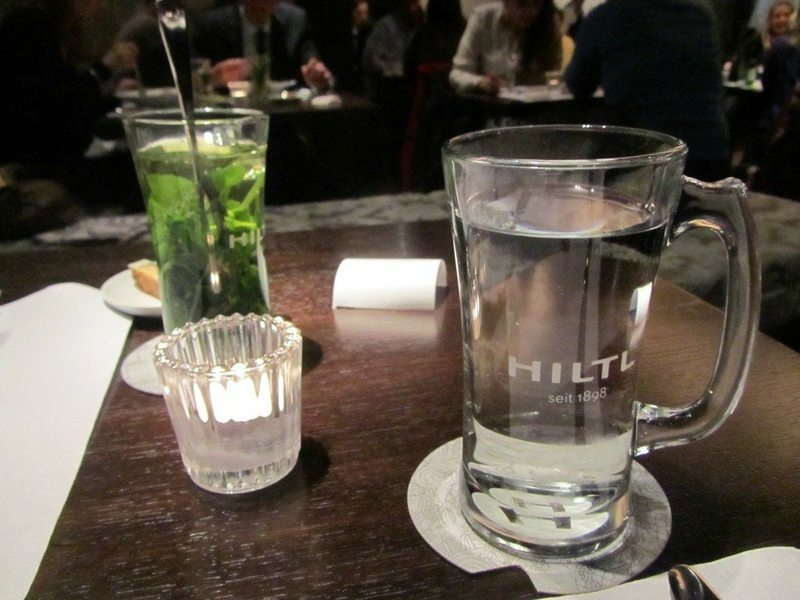 In addition to this, Hiltl provides an A La Carte menu. The clean and tidy restaurant area is spread over two levels. Plush cushions and patterned seating make it a comfortable dining area. There are also wooden tables and chairs. The lighting is quite striking and there are chandeliers on the upper level. The staff are really polite, attentive and give great service. The A La Carte menu provides a refreshing take on vegetarian food with so many intriguing items. 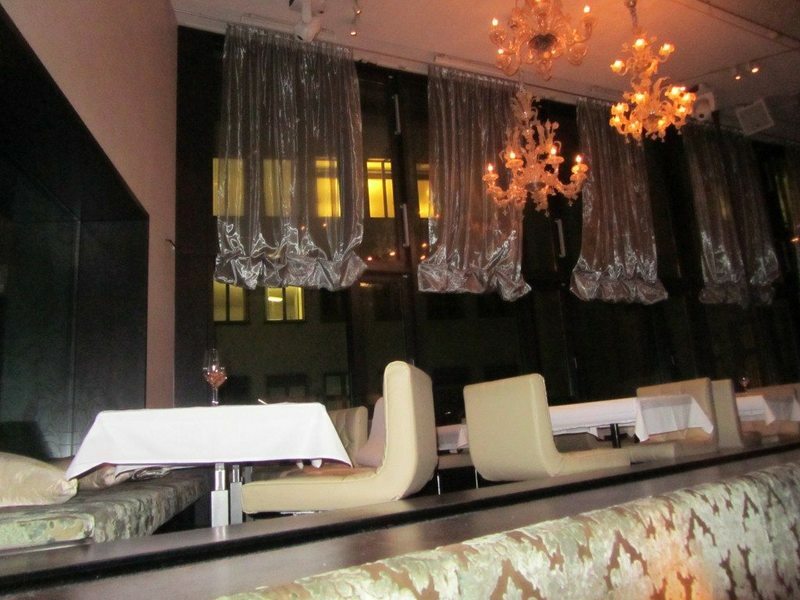 The menu is categorized by Starters, Salad Platters, Fresh Vegetables, Traditional, Hiltl Classics, Pasta and Asia. There is also a list of allergens for all of the dishes. It was too difficult to choose what to have so we went with the staff’s recommendations for a couple of things from the Traditional section of the menu. The Hiltl Burger was made to a secret recipe and was in a sunflower and pumpkin seeded bun. The tasty burger had so much flavour. It came with Swiss herbal quark, coleslaw and a tomato based cocktail sauce. These sauces were ideal for the fresh country fries. 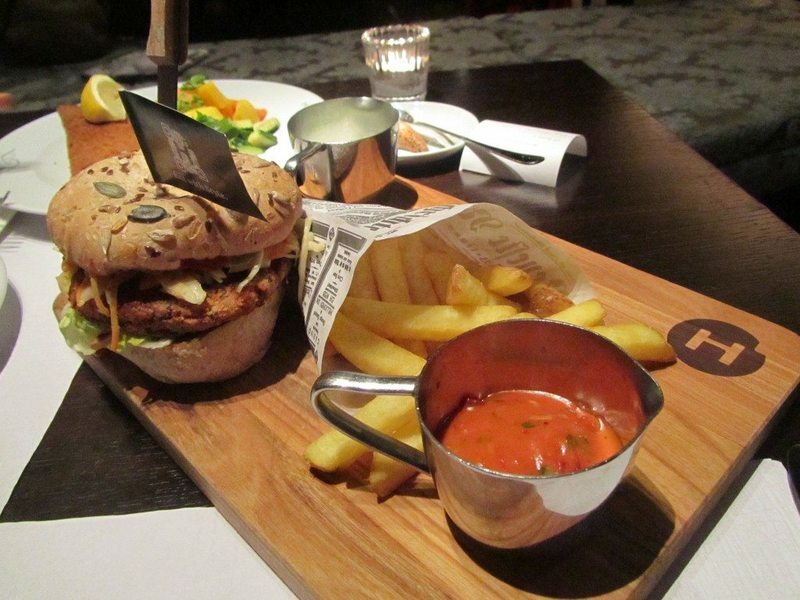 The burger and all of the accompaniments were served on a wooden board. It was nice to try something different by having the Cordon Bleu. This was made of seitan, smoked tofu and Appenzeller cheese all wrapped in a crispy coating. The smokiness of the tofu went well with the nuttiness of the Appenzeller cheese. Appenzeller cheese is a speciality cheese produced in the northeast region of Switzerland. The Cordon Bleu was made complete the vegetables of yellow and orange carrots and courgettes. The vegetables were all chunky and not overcooked. Hiltl has tempting desserts on offer and it is a shame that they could not be tried on this particular occasion due to the restaurant closing for the evening. There are also a range of juices and different teas such as peppermint combined with thyme. All of the food at Hiltl was delicious and very enjoyable. The combination of the flavours for the dishes work so well together. 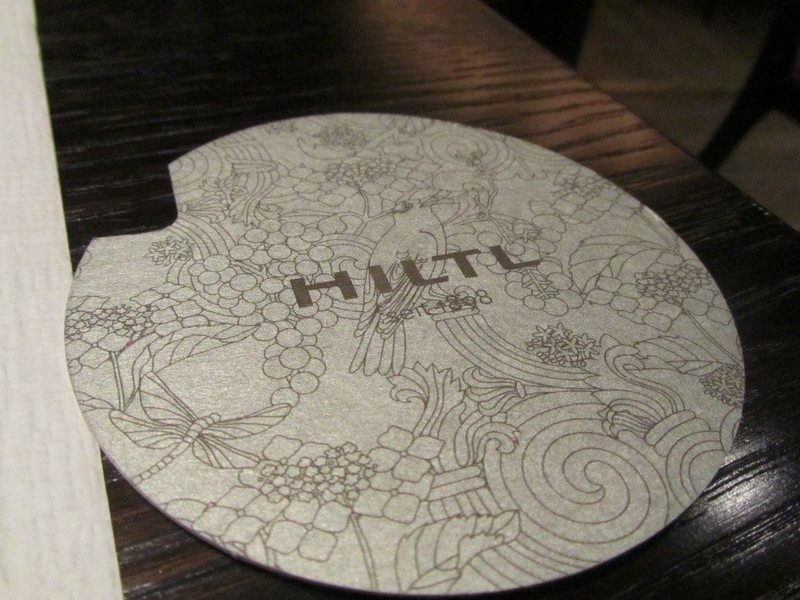 Even if you are not vegetarian, Hiltl is a fantastic and worthwhile restaurant to try.